The purpose of On Our Own, Inc. is to promote wellness and recovery by empowering individuals with psychiatric disabilities to reach their maximum potential through advocacy and peer support. We encourage self-help by providing education, information, and referral to community agencies and services. 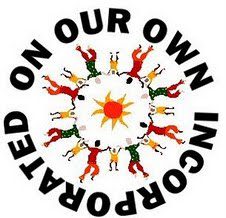 On Our Own began in 1981 as a grass roots support and advocacy group. The group decided to incorporate the following year. A statewide conference for patients and former patients was held in Maryland, in 1982. Recommendations of the attendees were sent to the Maryland Mental Hygiene Administration (MHA). Members rented space to be used for 'wellness and recovery' services evenings and weekends. There were social, educational, and recreational activities during those hours. Those services are available today in several locations and additional hours. To promote wellness and recovery by empowering individuals with psychiatric disabilities to reach their maximum potential through advocacy and peer support is our mission. We serve those who have been diagnosed with anxiety, bipolar disorder, manic depression, depression, schizophrenia, schizoaffective disorder, and all types of mental illness and substance addictions. Encouraging self-help is what we do best by providing education, information, and referrals to community agencies. We offer drop-in wellness and recovery centers with social, recreational, creative, and educational activities. A congenial, safe, non-threatening, and non-stressful atmosphere is the type of environment we foster where you can have a forum and outlet for your opinions. Peer support groups are available for advocacy and empowerment. We have operational hours when most psychiatric rehabilitation programs and other mental health services are unavailable. We provide answers to your questions about your rights and assistance to enable you to assert and protect those rights. Each attendee has opportunities to participate in advocacy issues and become a consumer advocate. One of the main activities of the local On Our Own groups is to provide peer-operated support meetings to all members. The group officially became incorporated as On Our Own, Inc. in 1982. Also that year, the group received funding from the National Institute for Mental Health, Community Support Program (NIMH-CSP), through the Maryland Mental Hygiene Administration, to sponsor a statewide conference for mental health consumers. This was the first conference of its type in the United States. Over 200 individuals attended the conference held at the University of Maryland, Baltimore County campus in June of 1982. The next year, On Our Own, Inc. received additional federal and state funds to open a consumer-operated drop-in center in Baltimore City, Maryland. This, too, was the first of its kind in the United States. That same year, On Our Own of Montgomery County was formed and in January 1985, they initiated the second consumer-operated drop-in center funded by MHA, in Rockville, Maryland. Additionally, consumers organized an On Our Own group in Howard County. In 1985, the Baltimore chapter hosted the first national primary consumer conference in the United States, the Alternatives '85, using funding from NIMH-CSP through the Maryland Mental Hygiene Administration. This was held at the College of Notre Dame and more than 400 consumers from across the United States attended, including representatives from Alaska, Hawaii, and Puerto Rico. The same chapter formed a statewide project called On Our Own of Maryland in 1986, with participation from the other consumer groups, in order to have a more formalized structure for input into the mental health system. Four years later, On Our Own, Inc. Baltimore, through the On Our Own of Maryland project, helped to facilitate the start of a similar consumer group in Prince George's County. One year later, another group started in Anne Arundel County, Maryland. On Our Own of Maryland, Inc. became an official, separate corporation in October 1992, after receiving a three-year federal service system improvement grant, targeted for the establishment of a formal statewide consumer organization. What was a steering committee for this organization’s project became the official board of directors. 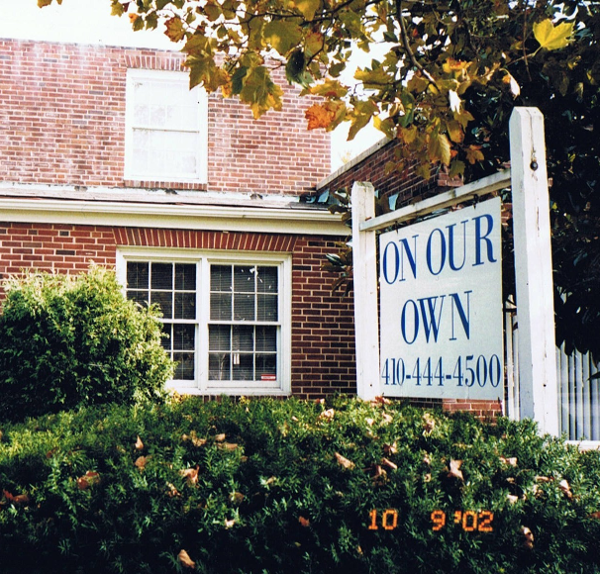 In March 1993, On Our Own of Maryland opened its own offices in south Baltimore City, Maryland. Since then, On Our Own of Maryland has provided technical assistance to new consumer groups organizing on the upper and lower Eastern Shore, Allegany, Calvert, Charles, St. Mary's, Washington, Howard, Frederick, Anne Arundel, Carroll, Garrett, and Cecil Counties, Maryland. One major activity conducted by On Our Own of Maryland is an annual summer conference for mental health consumers. The conferences provide the opportunity for individuals from across the state to learn what is happening in other parts of the country, meet other consumers, share ideas, and listen to a national spokesperson in the disability arena. On Our Own of Maryland is also engaged in several other activities, including anti-stigma and advocacy training projects. We also provide technical assistance, information and referral, and mental health systems monitoring and evaluation. This organization also received a new three-year federal grant designed to strengthen Maryland's consumer network. With the assistance of this grant, we are able to have a statewide network coordinator whose job is to outreach to our local consumer groups at the county level and assist them with organizational development. A subsidiary corporation, Main Street Housing, Inc., was founded by On Our Own of Maryland to develop affordable, decent housing for consumers around Maryland. We invite you to visit one of our wellness and recovery centers and/or join us for one of our exciting upcoming events. We look forward to meeting you!